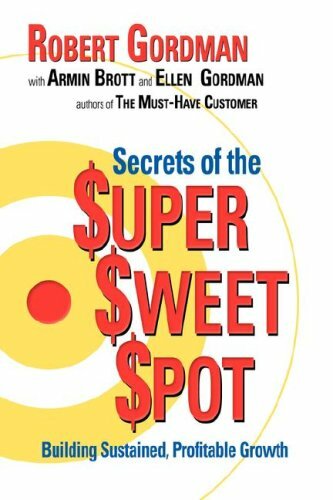 In less than two hours of reading, readers will discover the rules and secrets to creating their company's $uper $weet $pot, a power niche that will totally separate the business from all competition. This knowledge will be the key to a winning strategy. This book will give step-by-step guidance to learn how . To develop a clear understanding of the company's unique, customer-relevant strengths. . To leverage those strengths to create a $uper $weet $pot to meet the needs of Core Customers and attract Must-Have Customers. . To get Core and Must-Have Customers to give management the information theyneed to drive sustained, profitable growth. . To develop communications and advertising strategies that actually produce results. . To keep the company's $uper $weet $pot from going stale.